The Feast of Saladin – Zero Equals Two! March 4 is the Feast of Saladin, who died 825 years ago at Damascus, Syria. 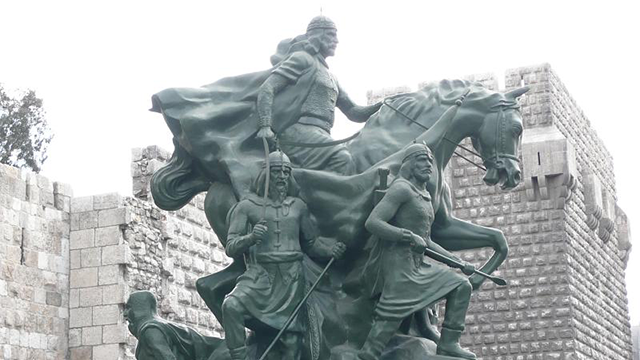 Saladin was a military and political leader who as sultan led Islamic forces against European Crusaders. His victory at the Battle of Hattin in 1187 paved the way for Islamic re-conquest of Jerusalem and other Holy Land cities in the Near East. During the Third Crusade, Saladin was able to negotiate a truce with Richard I of England (the Lionheart) that allowed for continued Muslim control of Jerusalem.